We look for evidence of your motivation and commitment, alongside aptitude and potential. It’s important that you have a good understanding of maths, communication and IT, along with knowledge and interest in the subject area you're applying to. Each course has specific entry requirements, which are listed on each course in the tab 'Entry requirements'. Search Course Finder for full course information including entry requirements. 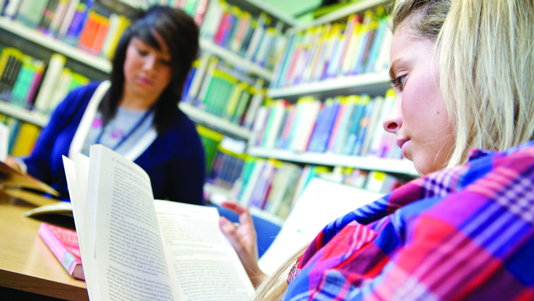 You must have five GCSE passes at grade C or above – including English and Maths – to study any of our courses. We’ll also accept Functional Skills Level 2 Maths and English in place of GCSEs. If you completed your English and Maths GCSE under the new grading system, you’ll need a grade 4 or higher. Undergraduate university courses explain their entry requirements in UCAS Tariff points. For home students, many of the qualifications you hold, such as GCE A-levels, BTEC National or qualifications at a level comparable to them, give you a Tariff point score. Tariff point requirements vary across courses so make sure you read the entry requirements for each course using our Course Finder. The UCAS tariff calculator is a useful tool to add up what your qualifications are worth in terms of tariff points. IELTS (International English Language Testing Service) 6.0 6.5, subject to course. Check course entries in our Course Finder for specific information. British Council and the National Academic Recognition Information Centre (NARIC) can advise if your qualifications are acceptable. We offer specialist support to any students who come to LSBU with a background of being in care. Read more about Care Leavers at LSBU. Our admissions tutors will consider all the information on your application form, your past academic performance, predicted grades and personal statement to decide if we can make you an offer. If we can offer you a place, it may be a Conditional Offer, so you will need to achieve particular grades in certain subjects to secure your place. If you haven’t met the conditions, don’t worry – you may still be able to get a place. You can check this through UCAS Track. Our expert advisors are here to help. If you want to discuss your options call our Course Enquiries on freephone 0800 923 8888.